Winnie from Healthy Green Kitchen is hosting this edition of Weekend Herb Blogging. 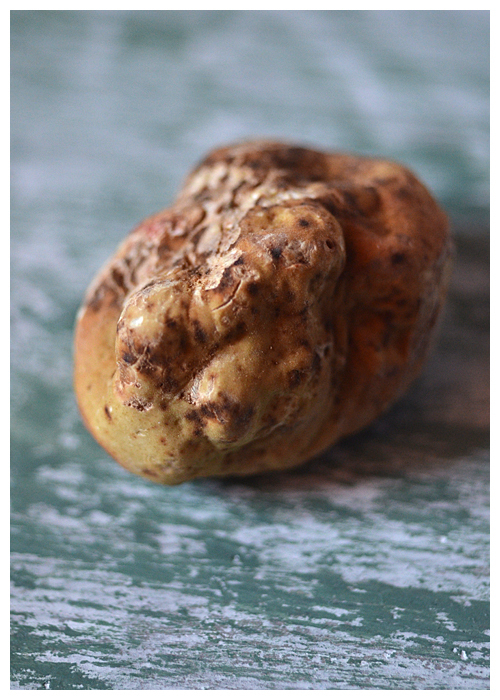 This week marks the official start of the White Truffle Season, so it makes sense that the ingredient I'm featuring has to be Alba White Truffle! 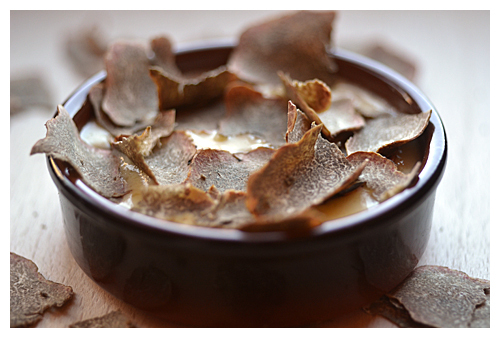 For me, the white truffle has to be one of the most wonderful ingredients I've ever used - just being able to breathe in it's wonderful aroma is something that will immediately bring a smile to your face. I am continuing with my theme of cooking food true to the region where I'm staying and this week I'm making another dish that you'll see on many a menu in town - Fonduta con Tartufo Bianco. You could call Fonduta, the Piedmontese version of cheese fondue - but rather than use a mixture of cheese it uses one - Fontina. 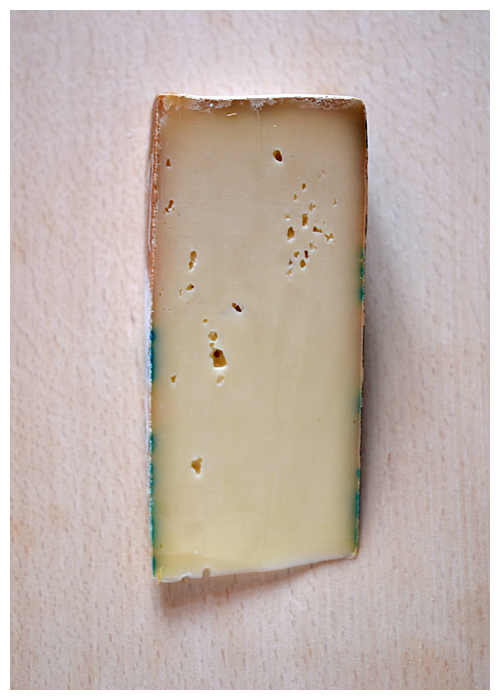 This fontina is from the Valle d'Aosta - a region of Italy that borders France and Switzerland and Piemonte. Fontina has PDO status and must be made from unpasteurised milk. The fontina is cooked in a double boiler with milk and then enriched with egg yolk and butter. The final touch in this version is shaved white truffle but I've also enjoyed an excellent version that added chopped roasted hazelnuts into the fonduta. Place the fontina in a small bowl and pour in enough milk just to cover it. Let this sit for a few hours before proceeding. Pour the milk and fontina into the bowl and place over a pan of simmering water - start stirring until the cheese melts to form a smooth sauce. Taking a whisk and whisk in the egg yolk followed by the butter - making sure they are well absorbed into the mixture. Continue whisking until it thickens slightly - you're looking for something like a bechamel in consistency. 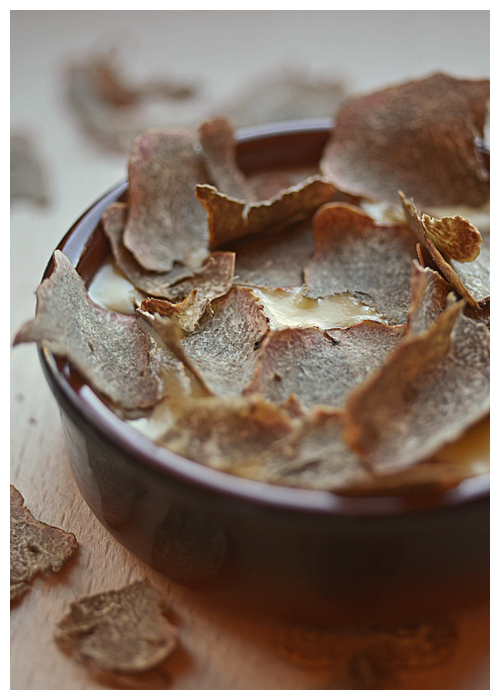 Place the fonduta into a bowl and then liberally shave over the top with white truffle. Serve with pieces of crusty white bread and dunk away!